Saturday, May 13 @ 7:30 pm. You may have noticed that this edition of the Fly and Camel Café has been cleverly scheduled for the Saturday before Mother’s Day, so if you’re looking for a gift for Mom, look no further! 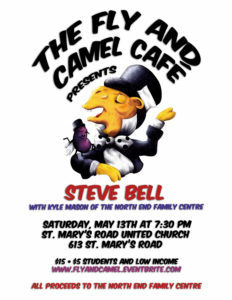 Tickets can be purchased at St. Mary’s Road United Church (204-257-0678) or online at www.flyandcamel.eventbrite.com. 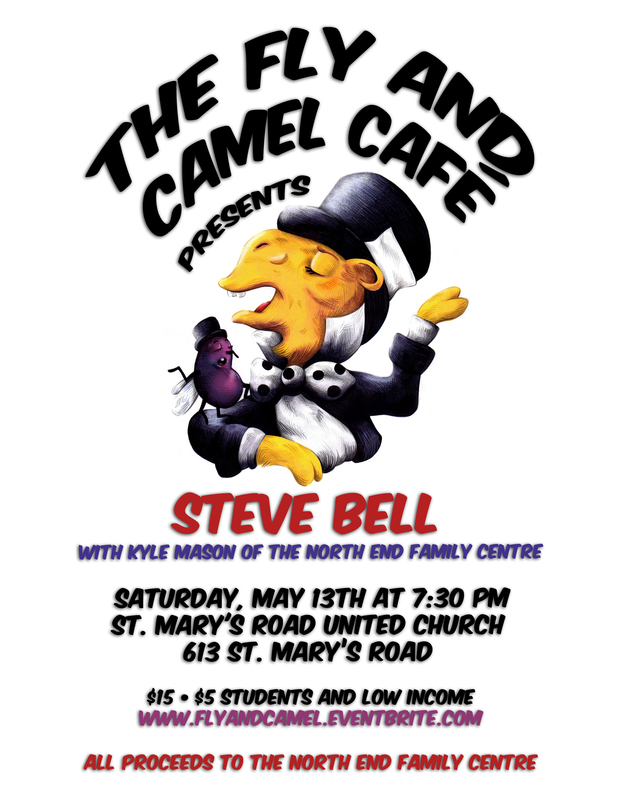 All proceeds will be donated to the North End Family Centre; Steve is a member of the Board of Directors. Kyle Mason, the Executive Director of the Centre, will speak during the coffeehouse about the Centre’s work. Saturday May 13th @7:30 pm.